What are the gaps in Canada’s infrastructure plans? Canada is an infrastructure laggard in a world where these investments matter more and more. While our country has increased its spending, it is doing so without an adequate policy framework to ensure it gets the best bang for its buck. Projects with decades-long impacts are too often chosen based on good politics rather than on good policy. The three levels of government — federal, provincial/territorial and municipal — too often fight over who should pay for what instead of coordinating to ensure accountability and good governance. Indigenous governments are a further actor in this complex mix. The taxpayer almost invariably is called upon to fund the increased demands — through taxes or debt — instead of ensuring that users and beneficiaries of individual projects pay a greater share, or encouraging the private sector to invest more of its capital in infrastructure development. This is not a 21st century approach. Other countries manage their infrastructure needs in a much more sophisticated way. New Zealand plans its infrastructure with an eye fixed on a generation from now. Australia separates politics and policy so that poor spending decisions are pointed out publicly by experts with clout. The United Kingdom prices infrastructure appropriately to limit demand and relieve the taxpayer. Chile taps the private sector to fund and operate large infrastructure developments cost-effectively. Australia, the UK and others have set up innovative operations to drive better results in infrastructure planning, construction and operations, including rapid adoption of new technologies to track performance and reduce cost. Canadian governments will spend more than $500-billion and as much as $750-billion over the next 10 years on infrastructure. “Infrastructure. It’s what binds an economy together. The systems that make an economy work. Connecting people to jobs, though public transportation. To information, through broadband. To markets, through ports, roads and airports. Infrastructure drives productivity. It makes economies more competitive,” said Michael Sabia, president and CEO of the Caisse de dépôt et placement du Québec, in a speech earlier this year to the Toronto Region Board of Trade. Canada can boast many internationally respected companies that are poised to deliver on this opportunity. The injection of between $500-billion and $750-billion must be used to further sharpen their abilities and gain the reputation and scale required to take full advantage of a global infrastructure market expected to be worth more than $50-trillion (U.S.) over the next generation. In other words, if we do infrastructure better at home, we can turn it into a lucrative, exportable industry abroad. We need to begin by putting infrastructure at the heart of Canada’s economic development. The approach must be strategic and far-reaching. That means government leadership and, in particular, federal government leadership. Canada needs a pan-Canadian infrastructure strategy to determine how funds can best be allocated for tomorrow and for the next 30 years. Canada needs a world-class infrastructure agency to help governments prioritize spending, work better together and build capacity to deliver projects effectively. Canada needs to lean less on taxes and more on user fees to raise infrastructure funds and manage demand. In the right circumstances, Canada needs to allow the private sector, with its proven capacity, to build and operate infrastructure to better effect. Canada needs to apportion a greater share of investment toward the economy of tomorrow and not become overwhelmed by current, fleeting pressures. And Canadians need to be kept better informed about the importance of modern, efficient infrastructure to the well-being of this generation and the next. There is no term more dangerous than “shovel ready” when it comes to infrastructure. Favoured by those looking to get an instant shot of construction-site adrenalin, shovel-ready projects often fail to deliver lasting strategic benefits. Infrastructure can only be done well when it is done with due deliberation. The Liberal government committed to doubling federal infrastructure spending. That was the easy part. But Canada won’t become an infrastructure leader, and therefore an economic leader, unless those funds are employed as part of a much more sophisticated strategy of world-class planning, delivery and operations. On April 15th, 2016, finance ministers and central bank governors from the world’s largest economies met in Washington to outline a global plan for long-term growth. They agreed that an “investment agenda with focus on infrastructure, both in terms of quantity and quality” was a top priority. The position taken by the men and women who run the world economy should not surprise anyone. The economic debate since the Great Recession of 2008–09 and the subsequent period of weak growth has been characterized frequently as a battle between those advocating debt-fueled stimulus and those urging debt-slashing austerity. Infrastructure investment has often been seen as the primary means of providing short-term stimulus but, in fact, it is much more than that: It may well be the primary long-term means by which governments can accelerate economic growth and advance living standards. A short-term stimulus approach can produce positive blips, but it rarely generates pathways to sustainable growth. When approached long-term, infrastructure is a true investment, one that keeps on reaping returns. The World Economic Forum agrees. Its annual Global Competitiveness Report regularly cites the foundational role that infrastructure plays as a critical pillar of competitiveness, alongside the need for countries to have a fair and transparent legal framework. The definition of infrastructure varies but it generally means capital assets built and maintained in the public interest for economic and social purposes including roads, bridges and public transit, water and wastewater facilities, health care and education facilities, and, increasingly, wires and wireless networks, reflecting the outsized role of the digital economy in our lives and economies. After a long drought, infrastructure spending has been on a growth trend for some years. But it has been working off a low base. In the post-war era, there existed a consensus to build or, in the case of Europe, rebuild. These were the boom years, when the interstate highway system was constructed in the United States and when much of Canada’s highway system was developed along with many hospital and education facilities. Spending remained at a high level into the mid-to-late 1970s. But when government deficits began to grow in the 1970s, capital investment was curtailed. By the mid-1990s, as deficit elimination became de rigueur, new public infrastructure development became negligible. In Toronto, subway expansion ground to a halt. In one instance, the provincial government actually filled in the excavation work begun on a second east-west subway line after cancelling the project. That project is now underway again two decades later and is scheduled to be completed early in the next decade. It wasn’t until the early 2000s that governments began systematically reinvesting in infrastructure. By then, the infrastructure built to serve the baby-boom generation was becoming as creaky as some of the older baby boomers themselves. How big is the requirement? Today, a remarkable global consensus exists. New investment is needed to replace fully depreciated, often deteriorated and overstressed facilities with modern ones that are heavier on technology. We also must expand existing infrastructure to track population growth, especially in urban areas, to address the challenges of climate change and to boost productivity. Infrastructure investment priorities recommend themselves: They must account for economic and social change and provide the springboard for future growth. 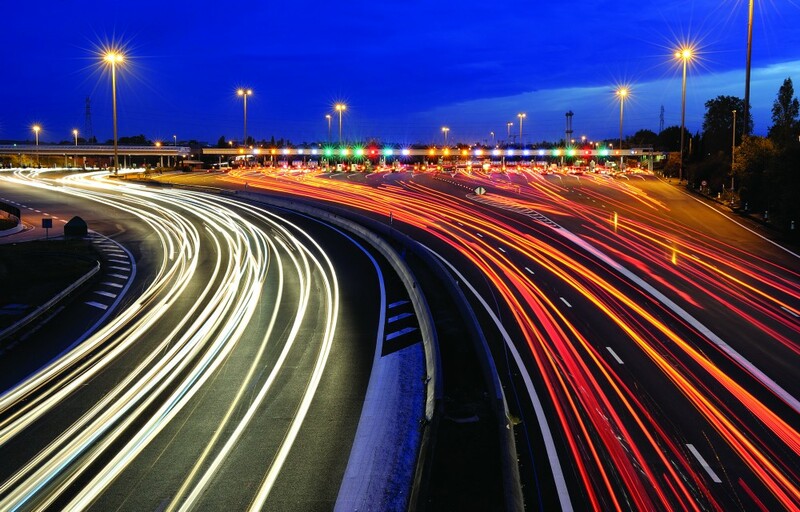 The definition of infrastructure is broadening, along with everything else in the digital age. As individuals and organizations become ever more connected, the role of infrastructure as a driver and enabler of innovation must be added to the equation. Great economic and social gains in areas such as energy efficiency can be realized by facilitating improved connections and the real-time collection and analysis of data. An advanced country like Canada doesn’t want its digital infrastructure to fall behind as its physical infrastructure has. The McKinsey Global Institute has estimated that $57-trillion (U.S.) in infrastructure spending would be required between 2013 and 2030 simply to keep pace with projected global GDP growth. That amount, the institute calculated, is more than the estimated total value of existing infrastructure worldwide and represents a 60 per cent increase over average annual expenditures since the late 1990s. Government need not — indeed, should not — take on this task alone. The involvement of the private sector as infrastructure owners and operators is becoming increasingly common, in circumstances where the public interest is safeguarded. They bring increased investment, the appropriate spreading of risk and the injection of new, creative thinking on how to extract greater value from each project. Of course, the public needs to benefit from this broader pool of participants, which is a key challenge for governments in designing and communicating such infrastructure reforms. But, while it is not a panacea, an “all-hands-on-deck” philosophy involving both the public and private sectors is fundamental if infrastructure requirements over the next generation are to be met and met well, thus ensuring future economic competitiveness and growth. The number of institutional investors with stakes in infrastructure has more than doubled worldwide since 2011.iv According to the International Monetary Fund, institutional investors — pension funds, insurance companies, mutual funds and sovereign wealth funds — hold approximately $100-trillion (U.S.) in assets under management. Pension funds hold about one-third of that amount and have been in the forefront of this movement toward infrastructure investment, with Canadian funds often leading the way. Yet despite this, less than 1 per cent of global pension fund capital is invested in infrastructure equity, according to the Organisation for Economic Cooperation and Development. More can be done to attract those funds — and so speed up the process of filling infrastructure gaps and jumping on new opportunities. Canada enters this more active era with an historic record of achievement on infrastructure, but with less to boast about in recent years. Infrastructure development has been fundamental to Canada’s evolution. From the Canadian Pacific Railway and the Trans-Canada Highway to the St. Lawrence Seaway and the numerous Northern hydroelectric projects of recent decades, Canada has been in the forefront of global megaproject construction. Such investments required vision and fortitude. Some have proven more successful than others. Some took too long to get going. The Seaway, for example, was built only after decades of discussions with the United States and just as global shipping patterns were changing. Although a great nation-building achievement, this delay meant Seaway traffic never lived up to expectations. Other projects have proven to be economically invaluable, such as the Confederation Bridge, which has boosted tourism on Prince Edward Island and brought the Maritimes closer together. There are fewer such undertakings of national scope on the drawing board now; one with a high profile is the Gordie Howe International Bridge between Windsor and Detroit. When completed, it will provide a second major crossing at a border point that itself is responsible for about 25 per cent of Canada-U.S. trade. Again, this new bridge has been years in the making. Canada’s record on more prosaic matters of infrastructure scope and scale — the level of expenditure and, more critically still, the effectiveness of expenditure — would also benefit from greater attention and rigour. The willingness of Ottawa to increase investment in infrastructure is part of a renewed national focus from all levels of government. As much as $750-billion in infrastructure investment is planned over the next decade by the three levels of government — federal, provincial and municipal. The Ontario government plans to spend almost $140-billion and the City of Toronto has a $30-billion plan, albeit largely unfunded. Alberta is planning for investments of $35-billion over the next five years. Those figures certainly appear impressive and they do place Canada towards the top ranks in the OECD at roughly 4 per cent of GDP. v Governments are going all-in on infrastructure as a key to jobs and growth. But Canada still has some catching up to do. Most strikingly, Canada’s global standing in terms of the quality of its overall infrastructure has been steadily falling. One closely watched measure — the World Economic Forum’s Competitiveness Index — now places Canada 23rd in terms of infrastructure as compared to 10th before 2010. Canada’s so-called capital intensity — the amount of infrastructure deployed for every dollar of GDP — is on the low end of the OECD scale.vi Canada’s infrastructure stock is held in public hands to a greater extent than some competitor nations that have done more to balance public and private ownership. Likewise, Canada’s infrastructure stock is funded through the public purse to a greater extent than others that have implemented user fees as a means to manage demand and generate revenue. Then there’s the question of how well money is spent. The asset management practices of Canadian governments are hardly viewed as top-of-class. Inconsistent accounting practices have sometimes hindered the case for infrastructure investment. And the complexity of Canada’s federal system — in the case of infrastructure, the municipal level owns and operates more than half of all assets but has much less of the taxation power — has provided a further level of challenge. Canada’s pension funds are viewed internationally as a model to be emulated. Their sheer scale has made them globally competitive and their hands-on investment model is viewed as enhancing accountability and reducing cost. And Canada’s experience with public-private partnerships (P3s) is studied internationally, given their record for on-time, on-budget delivery. On balance, though, there is much that can be done to improve Canada’s infrastructure record at a time of rising expenditures by all levels of government and by the private sector. Indeed, higher spending coupled with lower economic growth makes it all the more imperative that this expenditure be deployed to absolute best effect. Ottawa’s willingness to play a bigger role in driving infrastructure development nationally is an opportunity that must not be misplayed. During recent Public Policy Forum roundtables in Toronto, Montreal and Halifax, some concern was expressed at the record of the Trudeau government to date on infrastructure. Certainly, the increase in spending of $60-billion over the next decade was applauded. There was also support for the recent establishment of a federal/provincial/territorial table of infrastructure ministers, which the previous Conservative government was unwilling to initiate. An inaugural meeting of infrastructure ministers was held in September 2016 and included municipal leaders as well. It was well understood at the PPF roundtables that the Liberal government’s infrastructure approach is being rolled out in two phases. Interim spending plans were announced in the 2016 budget with more substantial policy initiatives expected later, in the Fall 2016 economic update or the 2017 budget. But all the same, certain government decisions that have already been made were viewed widely at the roundtables as sending negative signals about the government’s willingness to pursue a rigorous and transparent approach to infrastructure. The government has told municipalities they will have the autonomy to decide on the projects to be funded by Ottawa, with the federal government limiting itself to setting overall objectives for infrastructure spending. This raised questions about whether Ottawa could be certain that its money would always be going to effective projects, given the risk of politicization of certain spending decisions at the local level. These concerns were linked to the lack of clarity around the spending of gas tax revenues, ceded to municipalities by the Martin government more than a decade ago. The government’s decision to reverse the plan of the previous Conservative government to apply tolls on the $4-billion Champlain Bridge in Greater Montreal, which is now under construction, raised questions about whether politics had trumped policy, given the “demand-management” benefits of tolling. The government’s decision to remove the “P3 screen” applied by the Conservative government to large federally funded projects raised questions about whether there was serious interest in Ottawa about employing private sector capacity as part of infrastructure delivery. The New Zealand government released its third long-term infrastructure plan last year and Canada could learn much from it. The 30-year plan — an appropriate timeline when considering the long life of infrastructure assets — is meant as a key component of New Zealand’s “growth agenda” and includes measures to ensure that existing assets are better maintained and future spending decisions are made optimally. • A larger and more urban population. There will be a 25 per cent increase in New Zealand’s by 2045 but with almost all growth occurring in urban areas including 60 per cent of the growth happening in the largest city, Auckland. That means growing pressure on services in already built-up areas and pressure arising from long-term decline in others. • An aging population. All regions will have more senior citizens than children in 2031, a reversal of the population balance in 1996 — meaning that infrastructure must assist with changing service requirements for health care and education. • The steady influence of technology. Technology is changing lifestyles and transforming the way infrastructure is delivered, but it is also under threat from cyber attacks. This means that infrastructure must remain flexible but secure even as it is built for the decades to come. • The steady rise of Asia. It is providing new opportunities for exporters of goods and services but those exporters will require good international connections — roads, rail and broadband — to take full advantage of those growth markets. • The changing climate and the pressure on domestic natural resources. Flooding is now the country’s most frequent natural disaster, and limits are being reached on land and fresh water availability — meaning that infrastructure must be built to higher standards of resiliency and efficiency. • An aging infrastructure asset base. Government needs to find the optimal balance between repair and rehabilitation of existing assets and the construction of new ones to meet additional demand. • The productivity challenge behind low growth. A “persistent productivity gap” needs to be addressed to ensure that domestic businesses remain globally competitive and infrastructure development should be focused to ensure just that. Quebec has prepared its own long-term infrastructure plan and updates it regularly. The most recent version, issued in March, 2016, outlined a 10-year expenditure plan of $88.7-billion and noted that annual provincial infrastructure spending was now almost four times higher than it was in the early 2000s. Ontario examined long-term trends similar to New Zealand’s in its 2011 long-term infrastructure plan and the provincial government intends to update this analysis as it works on the next iteration. The Residential and Civil Construction Alliance of Ontario recently released a study on the major trends projected to shape infrastructure development over the coming decades. The findings were similar to what others have found, although possibly in greater depth than has previously been outlined in a Canadian context. Author Michael Fenn, a former Ontario deputy minister, noted that land use and transportation plans are likely to be impacted significantly by increased use of autonomous and shared vehicles, higher-speed trains and increased Great Lakes shipping. He emphasized the accelerating adoption of lighter and more adaptable infrastructure with high-performing materials and shorter life-cycles. He also noted that greater connectivity may remain the key to ensuring the long-term sustainability of public services, especially in high-cost sectors such as health care where fax machines stubbornly remain a key communications tool. All governments in Canada — Ottawa, the provinces and municipalities — would benefit from better long-term planning regarding infrastructure development. The critical first step entails knowing as best as possible what conditions will look like — demographically, geographically, economically, socially, technologically, environmentally — when the infrastructure decided upon today is in middle age many years from now. Some governments now do that while others still don’t. The critical second step for governments is to prioritize capital spending, knowing that the public purse can’t do it alone amid challenging fiscal circumstances. And that means governments should continually evaluate their asset base and spending plans to determine what should be done by the public sector and what might be done better by the private sector, provided that appropriate regulatory oversight is maintained. In international infrastructure circles, it’s known as the Canadian paradox. Yet paradoxically, these globe-trotting Canadian pension funds don’t often invest in Canada. This is the unfortunate truth despite some obvious advantages to doing so, including elimination of exchange rate risk and alleviating the public policy risk that sometimes ensues when Canadian investors buy into politically controversial assets beyond Canada’s borders. The OECD paper is a comparison of the participation of pension funds in infrastructure investment in Canada and Australia. There are similarities but — and not for the only time — it is clear from the paper that Australia has more to teach Canada than vice versa. Both countries have large public sector pension plans that pioneered investment in infrastructure as an asset class. (About 5 per cent of pension fund assets in both countries are in infrastructure, according to the study, easily the highest allocation globally.) Both countries have comparatively loose investment and pension regulations that allow pension funds to invest in illiquid assets to a greater extent than in other countries. Both countries have an infrastructure asset structure in which provinces (states in Australia) and municipalities hold the vast majority of infrastructure, rather than the federal government. Australia has a much stronger record of infrastructure privatization, however, including federal incentive programs for states to engage in “asset recycling” — the sale or leasing of existing public assets with the funds generated to be reinvested in new strategic infrastructure. The $5-billlion Asset Recycling Initiative, when highlighted in the 2014 Australia budget, was predicted to “leverage” close to $40-billion in state infrastructure spending. Does it matter that Canadian pension plans haven’t particularly favoured Canada with their investment funds? Actually, that’s the wrong lens to apply. Canadian pension plans have a fiduciary responsibility to find the best investments they can for their members. What matters is that investors globally — Canadian, Australian and others — aren’t being given any special reason to look to Canada at a time when there is burgeoning global interest in infrastructure investment and an obvious public policy rationale for it. These institutions have much to offer. Firstly, they have very significant funds under management and are looking for opportunities to deploy those funds at a time when governments — particularly Canada’s provincial governments– are concerned about their levels of public debt. Secondly, they have built the management expertise and have the clear financial incentive to run infrastructure assets well, often better than governments can. • Expectations of appropriate revenue streams from government or preferably from users of the asset and enough operational freedom to be able to increase returns perceptibly if savings can be identified and pursued. With those standards in mind, it is clear that Canadian governments haven’t done all they can to attract global investment. Canada has a strong record in the area of public-private partnerships but, with a few exceptions, the overall scale of the projects and the level of equity participation hasn’t tempted the big global funds, including Canada’s. In its first budget, the federal Liberal government said: “Where it is in the public interest, (we will) engage public pension plans and other innovative sources of funding — such as demand management initiatives and asset recycling — to increase the long-term affordability and sustainability of infrastructure in Canada.” There clearly is an opportunity to make headway in this regard. In February 2016, Infrastructure Australia released a comprehensive report entitled “Australian Infrastructure Plan: Priorities and reforms for our nation’s future.” There is no equivalent in Canada to Infrastructure Australia, but there probably should be. Infrastructure Australia was established in 2008 by the Australian Government as a statutory advisory board to advise all levels of government and infrastructure owners and investors on national infrastructure needs and priorities, funding mechanisms and the means to make the most of the nation’s infrastructure portfolio. Its detailed responsibilities include development of an annual list of priority infrastructure projects, evaluation of the adequacy, capacity and condition of nationally significant infrastructure, evaluation of the advisability of pursuing proposals for investment in such infrastructure and the promotion of private sector infrastructure investment. The 2016 report warrants attention in Canada because it makes plain an uncomfortable truth: Australia, a federation like Canada with similar challenges of balancing the interests of regions and jurisdictions, has set in place a superior infrastructure decision-making structure. It is one that does more to prioritize expenditures based on identified long-term trends, return on investment analysis, construction and operation best-practices, appropriate auditing and the public availability of data associated with all levels of analysis and decision-making. Australia has separated policy from politics in its infrastructure development to a greater extent than Canada has and it continues to press forward in a more sophisticated way to “prioritize the user” and to “act comprehensively,” in the words of Infrastructure Australia’s chairman.xiv In pursuit of those goals, the advisory board’s governing legislation was amended in 2014 to enhance the organization’s independence. Infrastructure Australia approached its 2016 report systematically. It began by performing an audit of the country’s existing infrastructure to determine the adequacy of supply and the level of wear-and-tear. The report, — a comprehensive examination of the transport, water, telecommunications and energy sectors — was made public alongside a special audit focused on Northern Australia. Furthermore, Infrastructure Australia proposed the development and implementation of two overarching initiatives to entrench best practices: National Governance Principles to improve the quality and transparency of decision-making and a national Infrastructure Performance Measurement Framework, including a national skills plan to identify which projects and practices worked well and why. Like Canada, most Australian infrastructure is delivered at the state and local levels. To ensure nationwide compliance with the new standards to be developed, Infrastructure Australia recommended that the national government make project funding contingent on adherence to the two best-practice initiatives. In the case of the National Governance Principles, that would include development of long-term integrated infrastructure plans by the lower levels of government, publication of business cases for individual projects, completion of in-depth community engagement and preparation of robust post-completion reviews. Australia’s structure and process is comprehensive but by no means exceptional. In 2015, the British government established the National Infrastructure Commission, which was mandated to provide “unbiased analysis of the UK’s long-term infrastructure needs” with a particular focus on the transportation and energy systems. The British government has also formed a Major Project Authority, which provides training and certification programs for managers of large infrastructure projects. The UK, Australia and New Zealand are not Canada. The United Kingdom and New Zealand are not federal states, though the UK has grappled recently with the devolution of authority to Scotland, Wales and Northern Ireland, Canada also has a more decentralized federalist tradition than does Australia. Indeed, just 3 per cent of Canada’s public infrastructure assets are owned by the federal government. Still, it is striking that Canada’s national, provincial/territorial and municipal governments have engaged in regular rounds of infrastructure negotiations and agreements over the past 15 years without the benefit of a set of overarching goals, principles and best practices regarding what is to be achieved and how it is to be carried out. Federal governments, regardless of their political stripe, have opted to sign funding agreements with individual provinces and territories or with national municipal organizations that lack the comprehensiveness and strategic vision achieved by these countries to which Canada often compares itself. This ad hoc approach has often left governments without a structured basis for judging success. The Gas Tax Fund was designed as a streamlined means to fund municipal infrastructure. Even if municipalities are best-placed to decide on their infrastructure priorities, there are few checks at the federal level to determine project effectiveness or whether national urban objectives are being advanced, especially given the “block funding” nature of the program. In 2015, Infrastructure Canada, the federal infrastructure department, conducted a detailed evaluation of a program that disbursed more than $1-billion for local infrastructure projects between 2007 and 2014. The analysis found that best practices in delivery weren’t always shared across jurisdictions. The federal Liberal government has significantly added to the previous Conservative expenditure plan, increasing overall funding by $60-billion over the next decade. It set out new funds devoted to public transit, green infrastructure such as water and wastewater and social infrastructure such as community housing and focused on the repair and rehabilitation of existing infrastructure — a critical aspect that often gets overlooked. But the lack of a comprehensive, agreed-upon national vision and plan remains. U.S. infrastructure investment has lagged and it shows. President Barack Obama has been frustrated by a Republican-led Congress intent on holding down expenditures. Obama’s mantle has been taken up by Democratic Presidential candidate Hillary Clinton, who has made it known that infrastructure investment is at the top of her economic agenda. Former U.S. treasury secretary Lawrence Summers believes there is a U.S. “consensus” to substantially raise infrastructure investment and that the policy focus now should shift to maximizing its impact — through greater transparency in project selection, a focus on deferred maintenance of existing assets, regulatory streamlining and selective private sector delivery including with the use of user fees. By boosting spending, the United States would be joining a bandwagon well underway, including in Canada. The Mexican government is pursuing a four-year, $600-billion (U.S.) plan. Brazil had its own four-year plan valued at $300-billion (U.S.) and infrastructure development remains top-of-mind despite its recent economic crisis. China, which is viewed widely as having overspent on infrastructure or to have not always chosen its projects well, is planning to spend trillions more. India has completed a five-year infrastructure plan worth $500-billion (U.S.) and is planning to spend another $1-trillion (U.S.) by 2022, according to Invest India, including more than $100-billion on roads and $90-billion on digital corridors. At a presentation this fall in Toronto, Invest India CEO Deepak Bagla noted that infrastructure is the prime driver behind the national government’s “Make in India” economic strategy and added that all infrastructure sectors are now open to foreign investment and public/private partnerships. “Seventy per cent of India in 2030 is yet to be constructed,” he said. It may be unsurprising that developing countries are spending at that pace — as much as 6 per cent of GDP annually. But developed countries have increased their spending too, including Canada. Numerous recent Canadian studies have focused on the positive impact of infrastructure expenditure on the domestic economy, more specifically. • The Canadian Construction Association reported a larger GDP result in 2015: “(I)n the short term for every dollar invested in infrastructure, GDP increases by $1.43 and over the long term, the discounted present value of GDP generated per dollar of public infrastructure spending or return on investment lies between $2.46 and $3.83.”xxv In other words, the largest benefits of infrastructure investment aren’t felt immediately — the rationale for so-called “shovel ready” projects during and in the aftermath of the Great Recession — but are felt over decades. Everyone has a favourite example of infrastructure gone wrong. The Champlain Bridge in Montreal is being replaced because it was poorly designed and didn’t receive the necessary upkeep. The Scarborough subway extension in Toronto is being built because political considerations demanded approval. Other examples abound. The McKinsey Global Institute has estimated future global infrastructure needs at $57-trlllion (U.S.), but concluded that 40 per cent of total expenditures could be saved through improved project selection, streamlined delivery and better repair and rehabilitation of existing infrastructure. Canada does much infrastructure well. The country has many international planning, design and construction companies and its governments work diligently. For the most part, Canada’s infrastructure expenditures are well deployed. However, few people who work in the infrastructure sector would say that the many billions spent annually are always spent to best effect. Some admitted as much at the PPF roundtables and in private conversations. And the evidence shows that other countries do it better. Canada can do better. Growing infrastructure expenditures represent an opportunity to boost growth and improve competitiveness. That will only happen if there is a clear strategy to ensure results, particularly that projects are chosen well and executed well. This would help to maximize the impact of an historic rebuild of Canadian infrastructure. Canada doesn’t have an infrastructure strategy; it has many infrastructure strategies. Some provinces have long-term infrastructure plans and others don’t. Some have set out decade-long spending commitments, some shorter. Others have focused on a single sector, such as transportation. Some have moved forward with public/private partnerships, while others have eschewed such commitments and reforms in favour of greater flexibility. And that’s just the provinces. Municipalities have done their own plans and, working through the Federation of Canadian Municipalities, have lobbied the federal government for additional funding in a manner that sometimes leapfrogs provincial authority. And that’s just the municipalities. Other infrastructure authorities have plans of their own, such as the $50-billion Big Move transit plan for the Greater Toronto Area overseen by transit agency Metrolinx, or the various airport authorities. This is perfectly understandable in a complex federation. But a nationwide strategy is missing that would knit together the planning already done by sub-national governments and agencies. This strategy could bring coherence to the multitude of discrete decisions by public and private sectors over the next decade that could amount to as much as $1-trillion, while ensuring greater transparency and accountability. As has been shown, Canada is conspicuous in not having such a plan. Although the United States has not prepared one either, it tends generally to avoid such pursuits. But Australia, New Zealand, Great Britain and other European countries have developed such comprehensive plans and sometimes more than one over time. Canada’s plan would — as the New Zealand plan did — set out what the country is expected to look like in 2045 or 2050, and how infrastructure investment would help ensure prosperity and environmental sustainability for a larger, older and more urban population. It would set a clear “policy anchor,” such as productivity growth, with agreed-upon metrics to judge success. This was advocated recently in a widely-noted newspaper article by three former senior Ottawa officials. Canada’s plan would consider steps to address the severe mismatch in fiscal capacity among the levels of government, with municipalities shouldering more than 50 per cent of infrastructure assets but collecting only about 10 per cent of all taxes paid. It would identify projects of national significance, such as high-speed rail, climate change adaptation measures or rural broadband. And it would focus particular attention on federally-owned infrastructure, including border crossings, military facilities and First Nations communities. The plan, in particular, would outline better-defined structures for decision-making, including a clearer division of political and technical responsibilities, beginning at the federal level. Some infrastructure experts advocate the complete separation of elected leaders from project choices, reasoning that they are too easily swayed by short-term political factors. A more realistic balance, however, might be for elected leaders to maintain decision-making authority but in an environment where technical analysis is much more robust — including independent, publicly-available business cases required for any project of reasonable scale. That is the approach taken in Australia. These are not uncommon steps. Switzerland and Singapore, have clear goals and metrics. Chile has taken an arms-length approach to project selection and has proven to be a magnet for private-sector investment. The Canadian plan would set out the terms for greater private sector involvement through “asset recycling” and the requirements for public and stakeholder engagement. The most challenging part of this exercise would involve the common Ottawa conundrum: Is it a federal strategy or a national strategy? The plan would focus on federal assets certainly but it would also work with other governments to build best practices and coordination. In terms of federal assets and projects, the plan might advocate the centralization of delivery and maintenance capacity as has sometimes been done at the provincial level — ensuring that capital execution is done by specialists as opposed to individual departments handling their own projects. The strategy would encourage improved practices across the infrastructure sector, through consultations with other levels of government and the private sector, including increased consideration of innovative practices in procurement, “local share” accords in which construction sites must hire and train at-risk youth and greater focus on good design. Would the federal government make its $120-billion in funding, which is deployed largely to match provincial and municipal project funding, contingent on such practices and other key considerations such as the publication of full business cases? That may not be advisable, at least for now, particularly when Ottawa has for many years been essentially a “third wheel” on the national infrastructure scene. Canada is a decentralized federation and provincial and municipal governments have jurisdiction over the largest sectors in terms of capital expenditures — such as transportation, water and wastewater and energy. But there should be a federal authority with the ambit to design the nationwide plan, put it into effect and judge progress on a national basis, including at the provincial and municipal levels — a Canada Infrastructure Agency. Existing federal infrastructure programs stipulate that the provinces and municipalities are required to identify and propose projects to Ottawa to receive funding. This process ensures that local leaders and citizens — particularly those who are most likely to use the infrastructure — are able to select the projects that best benefit their communities. This system is valuable for ensuring initiatives meet local needs but it also means that the projects may end up being too narrowly focused. Decision makers charged with local or provincial responsibilities may not take into account national opportunities, interests, trends or pressures. At the same time, it is unclear to what degree municipalities have the capacity to handle large and sometimes complex infrastructure projects. The absence of common standards, capabilities and knowledge across jurisdictions suggests that the level and quality of management varies. The Trudeau government has made clear its intention to establish a Canada Infrastructure Bank, an institution that would provide municipalities with affordable financing options to fund infrastructure projects. Municipalities have been reticent to take on debt to fund infrastructure. The spread between municipal and federal borrowing costs remains considerable. However, provincial authorities already facilitate municipal loans. Infrastructure Ontario’s loan program, for example, has supported the development of almost $10-billion in local infrastructure while the Alberta Capital Finance Authority issued more than $2-billion in loans in 2014 alone. British Columbia, New Brunswick, Nova Scotia and Newfoundland and Labrador also have their own municipal finance agencies. During the PPF roundtables, there was skepticism about the infrastructure bank plan, which was first proposed in the 2015 Liberal Party election platform. Private sector representatives saw the plan as an ill-considered means of sidelining commercial banks and other financial institutions when it comes to infrastructure development. Indeed, a 2016 C.D. Howe Institute report makes the same conclusion. As the Liberal government considers the details of the more substantive second phase of its infrastructure plan, the concept of an infrastructure agency has garnered much attention. And what’s been noticed, in particular, is that Canadian politicians at all levels have remarkable power to negotiate the approval of projects without significant public scrutiny, and without making public expert analysis to justify their choices. Politicians themselves are often aware that this isn’t an ideal situation. A Canada Infrastructure Agency wouldn’t play the role of politicians in making the final decisions. But it would have the authority, as Infrastructure Australia has, to provide its view of what sectors should get priority funding. The agency would also be able to suggest which individual projects make most sense and how those projects can be best be funded and delivered, whether through government or the private sector and whether a project would best be funded by taxes or user fees. It would also be responsible for intensive vetting of all large projects proposed by municipalities, the provinces and Ottawa, setting a threshold of perhaps $100-million. “A government like ours could really benefit from this kind of agency,” said a provincial official at a PPF roundtable. The agency would lead a national strategy on infrastructure performance, including planning, procurement, delivery and operation and promote improved asset management practices. It would be a strong advocate for the application of international best-practices, including transparent reporting on performance during construction and operation of key infrastructure assets. It would press provinces, territories and major municipalities to complete their own long-term infrastructure plans, well-coordinated with Ottawa’s pan-Canadian plan. It would advocate for the right allocation of money to maintain existing assets, to anticipate future growth and to boost strategic future prospects in areas such as the “internet of things” and autonomous vehicles. It would manage a fund to boost innovative use of public/private partnerships and bring like-minded smaller jurisdictions together to “bundle” projects together for efficiency purposes. The agency would, in sum, be Canada’s predominant vehicle for making the country into a world-class infrastructure player. While the most significant development in Canadian infrastructure recently was the announcement of new federal spending, the most innovative development is certainly the agreement reached between the Quebec government and the giant Caisse de dépôt et placement du Québec in 2015. Under the deal, the province is stepping back from key infrastructure projects and the Caisse is stepping up as an investor. Under the plan, the Caisse, which manages the second-largest pension plan in Canada after the Canada Pension Plan, will build, operate and own key infrastructure assets. The first two transit projects envisaged under the plan are valued at approximately $5.5-billion and will be majority financed by the Caisse and its partners. The Caisse will assume much of the business risk regarding the projects, including revenue risk related to ridership, and the projects will remain off the books of the Quebec government, which is burdened with high debt. This is the kind of deal in which the Caisse has developed expertise internationally, with its stakes in Heathrow airport, the London-to-Paris Eurostar rail service, U.S. toll roads and Australian ports. But it wasn’t the kind of deal that was available in Canada, at least until now, and aligns with the Caisse’s plan to double its global investments in infrastructure to $25-billion by 2020. “For long-term investors, infrastructure offers something that’s not easy to find today: stable, predictable returns in the 7 to 9 per cent range with a low risk of capital loss — exactly what we need to meet our clients’ long-term needs. … For governments all around the world, this could substantially change how major infrastructure projects get financed by providing a solution to their fiscal constraints.” said Caisse president Michael Sabia in his Toronto Region Board of Trade speech. The Caisse model will be watched closely across Canada — and even internationally — because it is a step beyond what has been politically acceptable in Canada. The circumstances of this deal are interesting: The Quebec government recognizes that the Caisse is far better respected in the province than it is. Realizing this, the province took a back seat to the Caisse’s management when the partnership was announced and has continued to remain in the background. The Caisse is unique in Quebec. It is recognized as a savvy global investor but is also viewed as operating in the public interest given that most Quebec households know that when they get a pension cheque from the Régie des rentes, the money is being managed by the Caisse. Still, the Caisse will ultimately be judged on its success in bringing these transit projects in on-time and on-budget. Canada has much experience in other kinds of public-private partnerships, though almost always they have been offered with relatively little equity participation for the private sector, ensuring that major international pension funds and other potential investors haven’t been tempted to participate. More than 100 infrastructure projects have been done in Canada through various forms of P3s, in which private sector consortia have built and, in many cases, operate and maintain infrastructure assets. P3 projects include the Confederation Bridge between Prince Edward Island and New Brunswick, Northeast Anthony Henday Drive in Edmonton, the Evergreen Line Rapid Transit Project in Vancouver under Partnerships B.C. and numerous hospital projects in Ontario under Infrastructure Ontario. Of particular note is the high-profile Canada Line in Vancouver, which connects Vancouver’s waterfront to the airport and Richmond, B.C. It was the first rapid rail project undertaken in Canada under a P3 model. InTransitBC, a consortium composed of SNC Lavalin, the Caisse and B.C. Investment Management Corp., has a 35-year contract to operate and maintain the line. The project was completed ahead of schedule in 2009 and now carries significantly more riders than expected when service began. However, P3 models have generally involved long-term leases to private-sector entities and, ultimately, leave ownership in government hands. They are, in effect, more akin to contracting arrangements. Many international governments have sought advice from organizations like Partnerships B.C. and Infrastructure Ontario about how to set up P3 models, especially the establishment of fair and transparent procurement practices and the effective transfer of risk to the private-sector consortium during the construction and operation phases, so that government isn’t on the hook if things go bad. But these kind of arrangements won’t draw the scale of capital that pension funds and other big financial players are looking to invest. And in Canada, many of those significant infrastructure assets remain in government hands. Selling off those assets is not easy, which is fundamentally what is at issue. But other countries have successfully proceeded with this kind of venture before. What are the opportunities to follow the practices of like-minded countries and sell assets to raise funds for future infrastructure needs? The sector most often mentioned during the PPF roundtables was Canada’s airports. Currently, Canada’s 26 largest airports are managed and operated by non-profit community organizations, which hold long-term leases from the federal government. They pay rent to Ottawa, sometimes a significant percentage of gross revenue. The United Kingdom did it a generation ago and other European countries have followed suit. Indeed, a consortium of three Canadian pension funds — Alberta-based AIMCo, Ontario-based OMERS and the Ontario Teachers’ Pension Plan –earlier this year bought the London City Airport jointly with the infrastructure investing arm of the Kuwait Investment Authority. The UK has drawn much attention to its privatization efforts. The UK Pension Infrastructure Platform has been established specifically to facilitate long-term investments by international pension funds into British infrastructure, including by British pension funds which have been slow to buy infrastructure assets. And the UK is seen widely as a model for another Canadian sector possibly ripe for restructuring: water and waste-water. The United Kingdom privatized its water and wastewater systems in 1989, with economic regulation imposed by London and environmental regulation by the European Union. Privatization followed the consolidation of water providers in the 1970s. By comparison, Canada maintains a myriad of small, local, public authorities which usually charge significantly less than market prices for water and must vie for capital with other municipal priorities. Asset recycling is hardly a panacea. It remains politically controversial in Australia. But it is a practice that is being tested in like-minded countries which are looking for ways to boost infrastructure expenditures and ensure that they are managed well. When should infrastructure carry a cost to the user and when should it not? If there was a topic of primary interest to participants at the PPF roundtables, it was probably this. User fees put a price on a product and bring supply and demand into closer alignment. User fees raise funds necessary for upkeep of the asset. Many PPF round-table participants spoke enviously of the political courage exhibited in cities such as London and Stockholm, which imposed congestion charges years ago on motorists entering the city core. At the other extreme, Canada’s biggest and possibly most challenged public transit system — the Toronto Transit Commission — stands out globally for putting so much of the cost of its operations on the backs of riders. Rider revenue covers almost three-quarters of the TTC budget, a rate among the highest in the developed world, as opposed to 50 per cent in New York, 40 per cent in Paris, 30 per cent in Seattle and just over 20 per cent in the Australian cities of Sydney, Melbourne and Brisbane.xxxv The level of the transit subsidization can’t be considered in isolation but must be viewed in tandem with the lack of user fees for roads, which encourages greater car usage at the expense of more environmentally-friendly transit. One participant at the PPF roundtables suggested that the Champlain Bridge tolls might have covered as much as 40 per cent of the cost (expressed on a net present value basis), a considerable loss of revenue, especially when one considers that the existing 55-year-old Champlain Bridge was financed in part by tolls collected until 1990. One of the problems is that roads and bridges are a particularly challenging place to impose user fees from a political perspective. But other infrastructure sectors haven’t proven easier territory — hospitals and schools, for example. (The Quebec government recently announced the abolition of all fees for medically-required procedures and, in Ontario, the provincial government even moved earlier this year to limit hospital parking fees.). In the case of water, Canada has a high leakage rate for a developed country — a fact often attributed to inadequate repair and rehabilitation due to low fees charged users. Then again, users have long been accustomed to at least paying something, although in parts of the country water consumption isn’t even metered. It is not entirely surprising, of course, that governments have been reluctant to impose user fees. Citizens don’t like to pay taxes. But there are principles of equity and efficiency at issue here. Why should Toronto transit users pay a fare to ride the subway while drivers don’t pay a fee to drive downtown? Wouldn’t it make sense from the perspective of traffic congestion to discourage car usage? • If there is transparent reporting on the revenues raised and the specific use of the funds. This too might be a best-practice that the infrastructure agency could encourage among the three levels of government. Canada has no place like the Cambridge Centre for Smart Infrastructure and Construction. But if infrastructure is going to be a key means to modernize and boost the Canadian economy, this centre deserves close scrutiny, with an eye toward collaboration or the creation of a Canadian equivalent. Located at the University of Cambridge, CSIC was launched in 2011 with $20-million in funding from two British agencies, including Innovate UK, which is mandated by the government to accelerate economic growth through business-led innovation. CSIC has also drawn significant funding from some of the world’s biggest infrastructure owners and operators, asset managers and technology and information companies, including IBM, GE and Toshiba. CSIC is focused primarily on using data to better analyze what infrastructure should be built and how existing assets can be better operated and maintained to deliver best “whole-life value.” It pursues advanced research into “smart infrastructure,” which it defines as the combination of physical infrastructure with digital infrastructure, ensuring better information in “real time” in construction, operation and maintenance. According to the Centre, this leads to reduced costs, improved margins, enhanced returns and extended asset life. CSIC runs training courses to boost the capacity of government and industry. Innovations it has promoted, such as in sensor technology, have been adopted for use in facilities as varied as the new $30-billion Crossrail underground line across London and the maintenance of Britain’s numerous masonry arch bridges. CSIC’s pursuit of smart infrastructure seems to be exactly on point with global trends regarding digital innovation, including the revolutionary “internet of things” — the multiplying network of physical objects equipped with embedded sensors and connected to the Internet. Canada has many companies working in this growing space, offering huge economic opportunity, especially as wireless networks move to so-called 5G bandwidth. But there is already some evidence that the country is trailing the United States and Asia. In particular, Canada appears to be lagging in the adoption of advanced connectivity infrastructure fundamental to making this happen. There needs to be greater focus on these kinds of 21st Century infrastructure. CSIC is hardly alone in pursuing applied research in the burgeoning field of high-tech infrastructure. The sheer scale of opportunity in the infrastructure sector over the next generation has attracted other players, including at other leading universities. Dalhousie University in Halifax has a small centre, focused particularly on infrastructure security. An organization like CSIC is a valuable addition to the British infrastructure sector but, as PPF round-table participants heard, the UK has for some time had a strong focus on the kind of evidence-based analysis that CSIC advocates. Every British city and town is expected to have an asset management plan to access certain national support. In Canada, some provinces have encouraged municipal asset management plans. Phase 1 of the federal government’s infrastructure plan included funding for municipal asset management planning. Many municipalities, and not just the largest ones, have done it of their own accord. But it is not yet universal. Again, Canada can do better. An organization like the Canadian Infrastructure Agency could have as part of its mandate responsibility for the training of government officials in the use of new technologies and the diffusion of innovative global practices to Canadian construction and infrastructure companies. It could create a centre similar to CSIC or launch a fund to encourage universities across the country to do similar research and collaboration with the sector. And more still could be done through government strategy to build a more innovative and globally-respected Canadian infrastructure sector. The Canadian Council for Public Private Partnerships runs one of the biggest P3 conferences in the world every fall because many of the major international infrastructure companies have operations in Canada and because many Canadian-owned companies are of a global scale. But a backroom concern of the Canadian sector, expressed quietly, is that some countries with significant infrastructure needs have procurement rules that aren’t as fair as Canada’s and don’t treat domestic and foreign companies equally. Everyone benefits from open markets and, as part of the federal government’s new focus on infrastructure, it should work to ensure equal treatment for Canadian companies working abroad. The Canadian Commercial Corporation already opens doors for Canadian infrastructure companies. By backstopping Canadian companies at the negotiating table, it can reduce the “political risk” of entering developing countries. “If such countries want to play games, they have to deal with Ottawa and not just us,” said a Canadian industry leader. But, more broadly, Phase 2 of the federal infrastructure plan provides an opportunity for both a significant upgrade in Canadian infrastructure and an important boost for the Canadian infrastructure industry, which could use newfound skills to do even more internationally. A pan-Canadian infrastructure strategy would chart the path forward on a global strategy. In the arcane world of Canadian intergovernmental relations on infrastructure, “incrementality” is either critically important or just a four-letter word. It’s six syllables long but it represents a simple concept. The federal government, in providing infrastructure funding to the provinces and territories, generally insists that its money go to projects that wouldn’t be done were it not for Ottawa’s money. The rationale on Ottawa’s part is that, were it not for the incrementality rule, provinces would just take Ottawa’s cash and apply it to existing projects, thus reducing the amount that the provinces and territories must pay dollar-for-dollar. This would mean there was no incremental increase in the overall amount of infrastructure being built. That is a particular concern now as Ottawa ramps up its infrastructure spending with an eye to boosting short-term growth. The rejoinder from the provinces is that the incrementality rule means that federal funds often flow to marginal projects, the ones not included already in long-term planning. The provinces add that they know what matters most better than Ottawa because they’ve been increasing their spending for years while Ottawa is just beginning to do its share. The larger point is that the incrementality dispute is only one part of a largely incoherent relationship among all three levels of government in Canada, which wastes time and resources and limits outcomes. The challenge also involves municipalities, which own most of the infrastructure but have limited taxing power to maintain it. This has led to persistent lobbying from organizations such as the Federation of Canadian Municipalities (FCM) for greater transfer payments from Ottawa and the provinces. Municipalities should also reform their accounting systems. Unlike other levels of government, municipalities generally operate on a cash budgeting basis, which means that capital assets such as infrastructure aren’t amortized, pushing municipalities to fund infrastructure on an upfront basis although infrastructure pays benefits for years. The newly-created national infrastructure table of ministers, which involves the FCM, should try to address the need for greater coordination among the three levels of government. Municipalities could do more to fund their own infrastructure themselves. The federal and provincial governments could solve the years-old incrementality dispute and agree on simpler terms for who funds what. That would leave Ottawa to focus primarily on areas of national importance such as international gateways and productivity-enhancing infrastructure such as broadband. Infrastructure gets a bum rap. The blame for this should go to the lingering effects of the Great Recession, when the call went out for “shovel ready” projects to boost economic activity within a short timeframe. Too often, stimulus funds sparked construction of an inordinate number of rinks, pools and other small community projects rather than strategic projects with long-term economic impact. • Publicizing the fundamental importance of infrastructure spending to Canada’s well-being, including characterizing the latest wave of capital spending as a once-in-a-lifetime opportunity to build 21st century infrastructure that is technologically savvy and adapted for a changing climate. Canadians are still benefitting from the infrastructure wave of the 1950s and 1960s. The next decade or two could have no less of an impact on the country. Canada has many world-beating players in the infrastructure sector. They’ve designed, built, owned and operated infrastructure all over the world. Canada has a total infrastructure budget that compares well with other developed countries. The average age of Canada’s infrastructure is declining for the first time in a generation as this historic rebuild takes root. But Canada suffers from a hodge-podge approach and a lack of rigour and ambition that will limit the long-term impact of its investment on economic growth, competitiveness and job creation. There may be no more important economic policy challenge for Canada than to get this right. And there may be no bigger policy opportunity. Reform is doable. The payoff significant. This interim Public Policy Forum report was written by PPF Fellow Drew Fagan, a former Ontario deputy minister of infrastructure, with the assistance of PPF project lead James McLean. The PPF would like to acknowledge the insight and analysis provided by participants at recent round-table discussions in Toronto, Montreal and Halifax.